Zen Party is the congregation of our friends, students and Zen teachers to share their Zen experiences, and also a great opportunity for new comers to know our center. 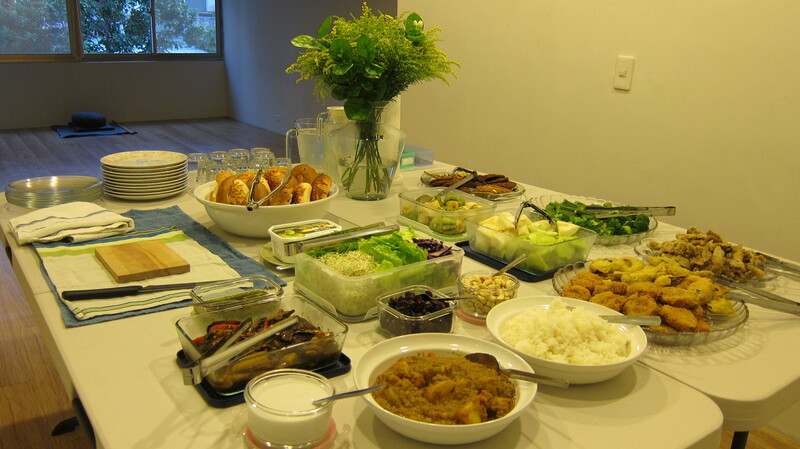 We prepare light vegetarian food in the party. All are welcome to join us. All classes and events provided by None Zen Center are free of charge, but we do ask that you consider providing a donation. Your gifts make it possible for us to keep the Center operating, and for people to learn and practice Zen continuously. TPZP 33 3/3 Sunday 6:30 pm – 8:30 pm Can a dedicated Zen practitioner get married? 2016.05.29 ZP27 Missing Post—Why do I want to know my self? 2015. 05. 17 ZP22 Can you be unhappy? 2015. 10. 25 ZP24 Practice Zen when out of control? 2014. 06. 08 ZP16 Hit the Ox or Hit the Cart? ————————–subject 2. Is Zen/ Does Zen need positive thinking? ————————–subject 2: How to deal with FEAR?